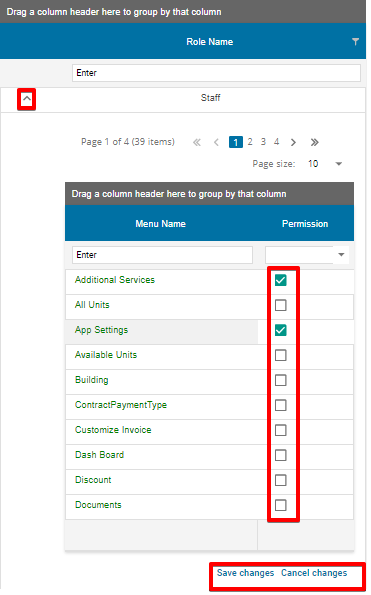 Simply choose the “Security “ tab and select the sub tab “Role Permission” to make more customizations in regards to your storage customer. 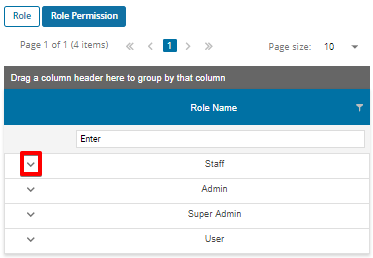 You will find various functions in the tool listed down with little check box beside them, Simply expand the role name and choose the accessibility for that role by just checking in the boxes besides each function. Clicking on "Save", Saves all changes made.